Following article presents concepts of financial market trends, its causes and investment opportunities. From mathematical point of view, stock market trend is a tendency of price to consecutively achieve new extremums. Looking at chart of price in time, most of people see patterns of continuous, upward or downward movement. 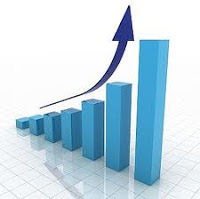 The concept of market trends is well known to people who are interested in financial markets. Financial instruments trends varies in time horizon, direction, strength and robustness. Trends have justification in human psychology, information, distribution and in any self-adjusting system. When people invest in stocks or other securities, first of all they pay attention to return on their investment. Sometimes when the value of investment grows, it usually seem to security owners, that they made right decision. They invest more because they see that given investment pays off. It doesn’t matter what happens fundamentally with underling asset. In other case, if the prices move in unfavorable direction, the most of investors come to conclusion that they were wrong. The common situation is that people are more eager to invest their savings, when they hear, that their friend or neighbor succeeded on stock market. The feeling of jealousy and greed intensifies, then people are motivated to invest, even if it becomes risky due to exorbitant prices. Investors affect each other by exchanging thoughts and opinions, so that they make similar investment decisions. People invest on a basis of positive information regardless of fundamental factors. That’s how the most spectacular bubbles formed: tulip mania, South Sea companies, railway mania, dotcom bubble and many more. The same situation is with the Ponzi schemes. At the beginning a small group of people entrust their money to a newly opened fund, which is managed by unfair management (but investors don’t know about it). The more and more people are encouraged to invest in this fund, because it offers a high yield. The fund receives capital from new investors and pays the yield to the earliest participants. Then comes the moment, when there is no more people eager to entrust their money. The cash inflow stops and it turns out that the fund has no money and goes bankrupt. It doesn’t matter how those funds invest, the rate of return is more important for Ponzi schemes participants. Most of those investments have bad ending, people lose all savings and feel disappointed. It is important to be aware of emotions, which affect investor while making such decisions. The other reason of trends forming is that some investors react too late on information. Due to the inflow of new investors the information is constantly discounted by the market. It is reflected by steady growth or decline of prices. It’s natural to take feedback and adjust accordingly. There are many systems in engineering, economics or sociology that works extremely well in that fashion. Some automatic HFT (High Frequency Trading) systems open positions, which increases the price, if they spot algorithmic potential of price going up. However, in stock market if we take too short timeframe for reference, we will not see whole risk involved with investment. Every trend ends in some point of time and every market bubble bursts. The trend reversal occurs when most of investors simultaneously liquidate their profits and there is a shortage of investors, who are eager to buy securities. When the prices reach new bottoms, the investors start to panic and try to quit positions as their capital shrink. Traders who take a short position boost the market plunge. In this case, the prices may be far below their actual values. The traders’ task is to recognize starting or existing trend and to open position in accordance with the trend direction. It is important to observe the indicators of trend reversal and to close position when the time occurs. There are many ways to spot the trend – the simples is just to look at chart and observe, in which direction price moves. To exit the trend (in one of the simplest ways) you can set trailing stop loss at given percentage of drop from the high. When the trend ends, it gives a signal of reversal and the position will be automatically closed. There is also a contrarian strategy. Some of the strongest market trends create market bubbles or undervaluation of the assets. When the price of given instrument is too high or too low, it’s good to take opposite position to profit from movement of price to state of equilibrium. Profiting from this strategy means investing against the crowd. Widespread pessimism about stock can drive price so low, even if the securities value is higher than current price. Taking profit means closing the position when the price meets its true value. There are many tools which help to spot and analyze market trends, market ineffectiveness and equity bubbles. Some of them are listed below. Stochastic indicators measure current price compared to its price range in a given time. The value of this indicator varies from 0 to 100. Classical theory says that the value over 80 indicates overbought markets and under 20 for oversold. Rate of Change indicator shows uptrends with positive values or downtrends with negative values. There are some successful traders in history, who use breakout systems to spot market trends. They will open positions if the price creates new high or low for given interval (for example on 40-day period) and they will close position if the price makes opposite breakout in shorter horizon (for example 20-day). There are online tools, which help investors to find trends. The website http://www.trendsinvesting.com provides automatic trend search tools according to chosen filters. Every trend is displayed with corresponding news. You can easily open trending instruments in stock screener to check fundamental and technical indicators. Of course, investing on a basis of trends should be supported by fundamental data. Changes in price are partly associated with company performance and corresponding news. Investing on a basis of both fundamental and technical factors should give better results than using only one method. TrendsInvesting.com is a portal with set of innovative tools for analyzing stock markets. The website was created as a result of research and development conducted in the area of using methods of data processing and aggregation to support investment decisions. They are designed to track world’s financial trends. Its biggest strength is a new way of synthesis of information about the capital markets: the trends clustering algorithm using information about the interrelationships of financial instruments. This approach provide investors with more organized and better suited information for decision-making and implementing trading decisions, choosing specific financial instruments.